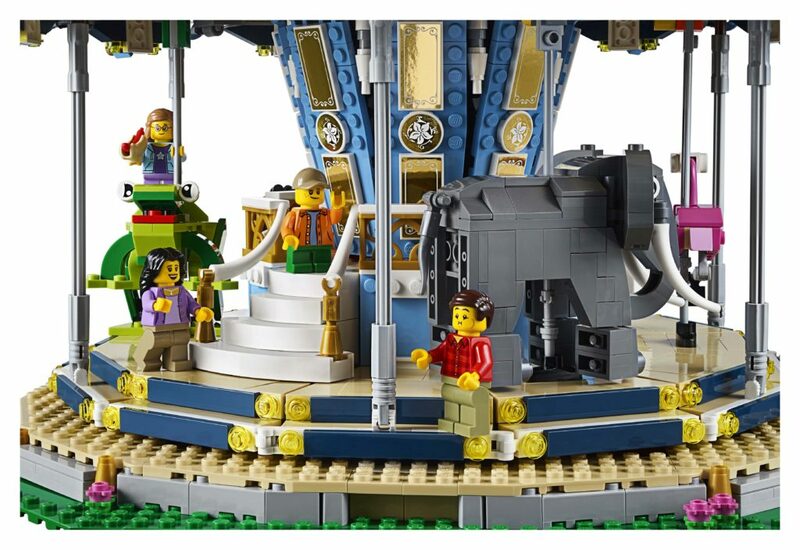 This is an announcement I’m extremely excited about – official news, pictures and details of 10257: Carousel! 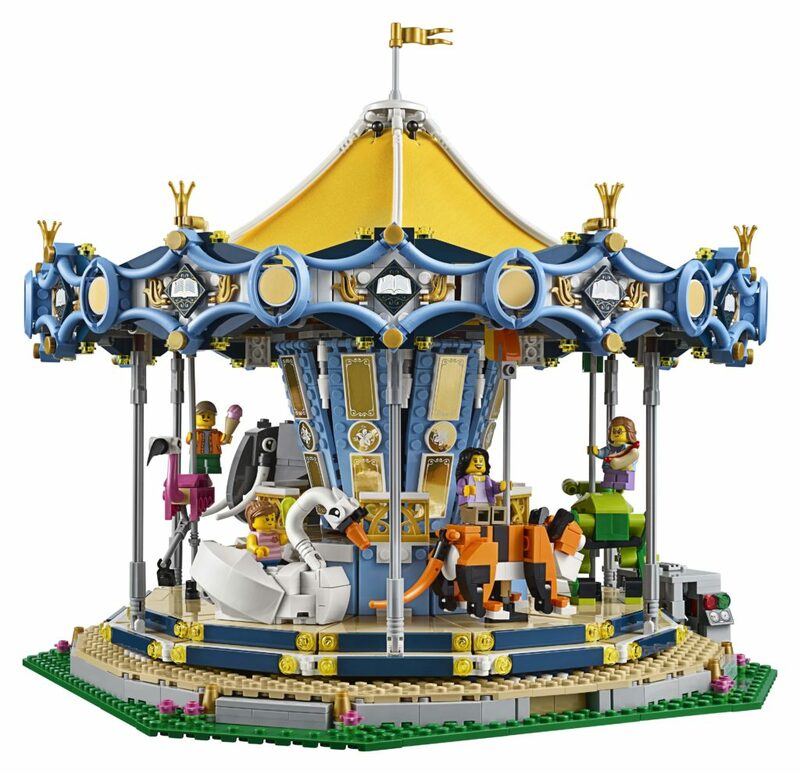 It’s been eight years since the release of 10196: Grand Carousel, and LEGO has finally granted our wish and given us another one, 10257: Carousel. 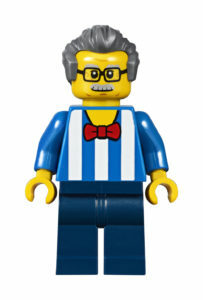 Buying this set now will set you back around $4000 on some sites. 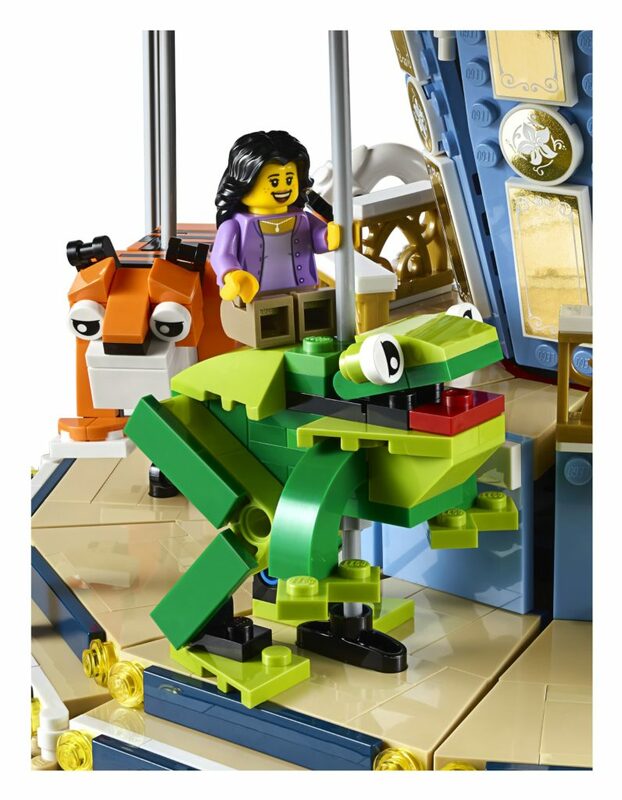 This is not a re-release – it’s a totally different set, but in my opinion, just as grand! 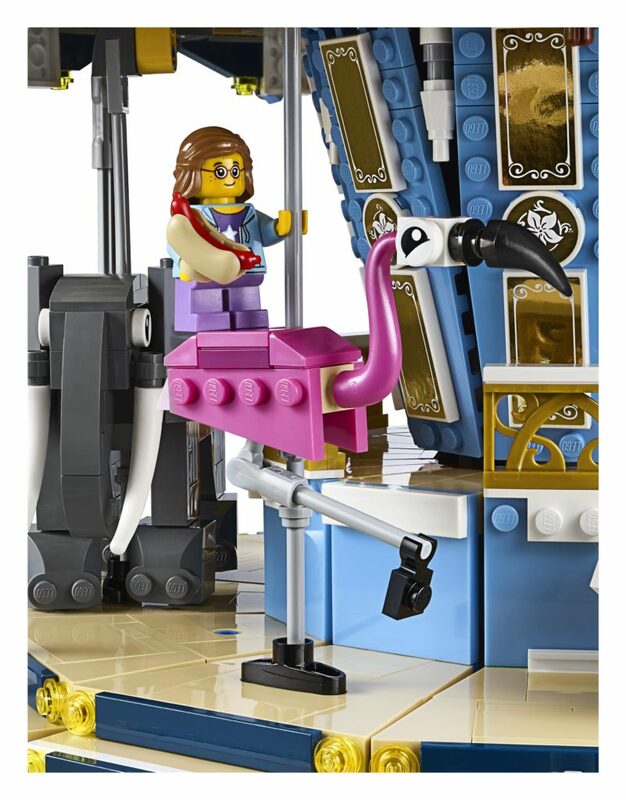 10257: Carousel is (according to the designer video) fairy-tale themed, and includes gorgeous detailing, bright colours, lots of mirrors, and a two-tier deck. 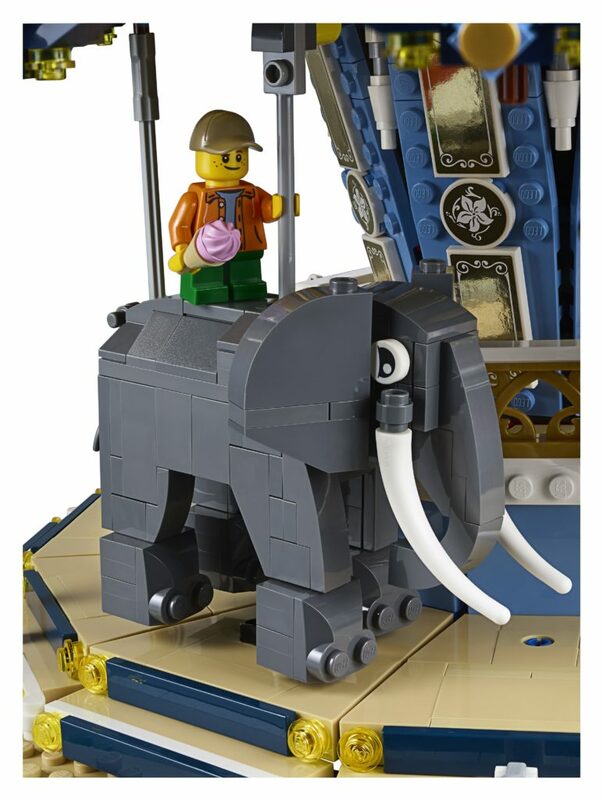 Instead of horses, there are five brick-built animal rides, including an enormous elephant, terrific tiger, fabulous flamingo, friendly frog and sophisticated swan (four of which move). 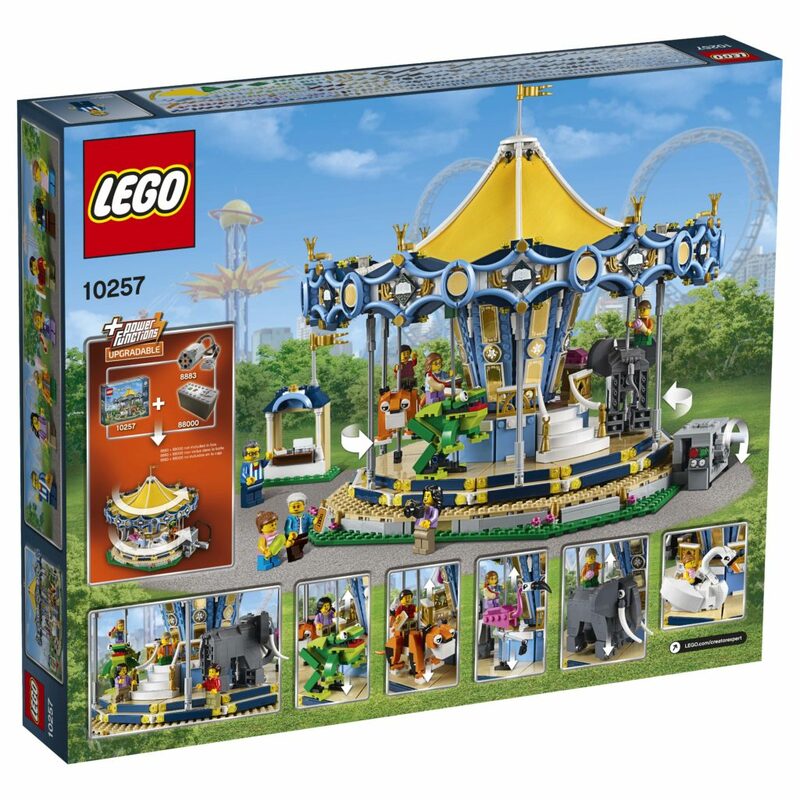 This set will look beautiful alongside the other two fairground rides, 10247: Ferris Wheel, and 10244: Fairground Mixer. 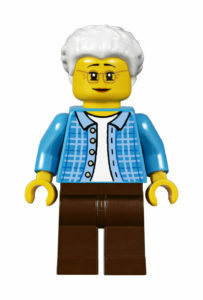 Also included are seven minifigures – a ride operator (who looks just like Stan Lee), family of four and a grandmother and granddaughter. 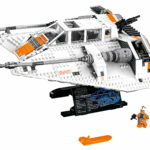 It looks strong, can be used with a Power Functions medium motor, and is big! 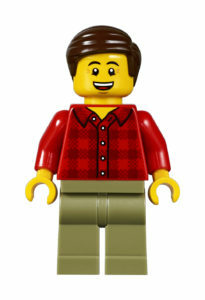 It measures 32cm high, 38cm wide and 35 cm deep. It’s not as big as 10196, but nonetheless, it’s large. 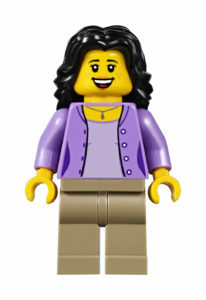 There’s a total of 2,670 pieces included. I’m not sure how I feel about the stickers – there seems to be a fair few of them. 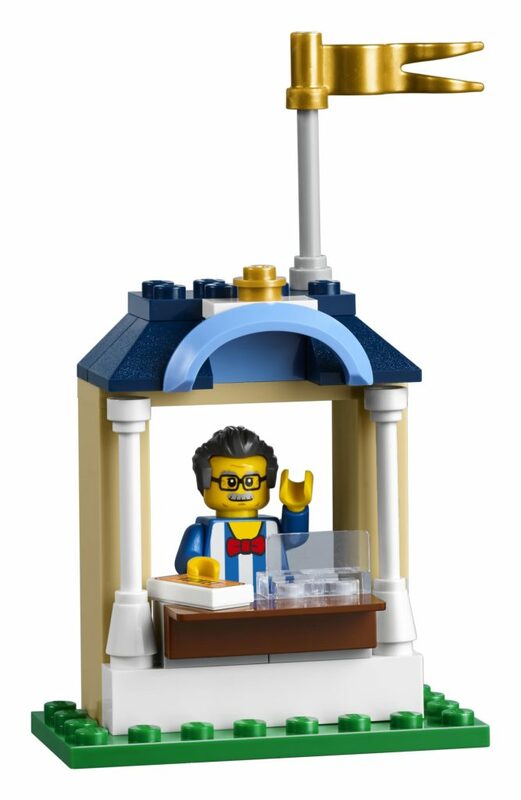 There are, however some very nice colours – pearl gold, two different shades of blue, and a bright yellow canopy. I absolutely love the animals. They’re perfect for a fairground, and look amazing! 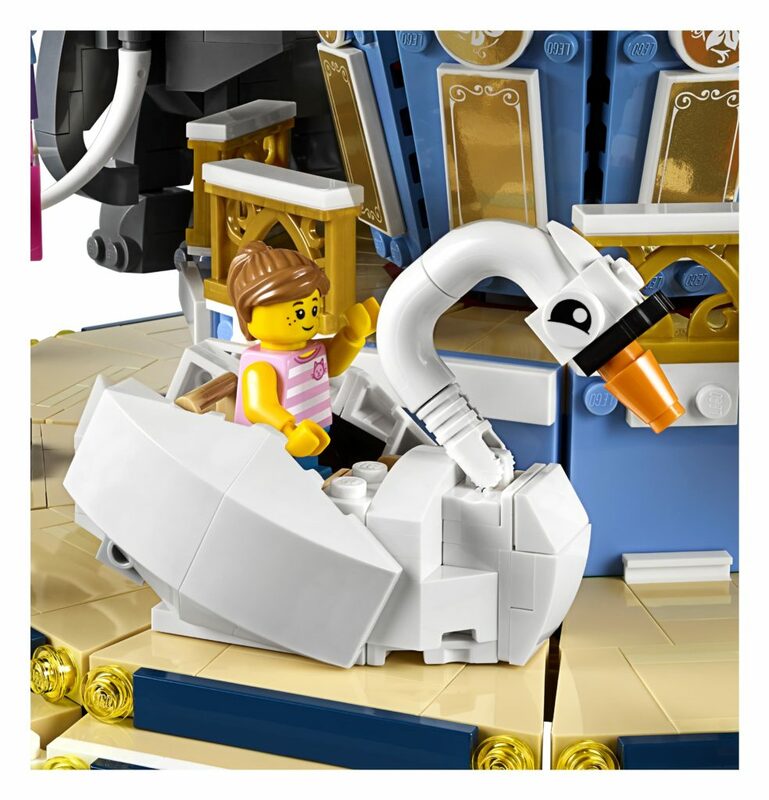 I can already see these designs being repurposed for other MOCs. 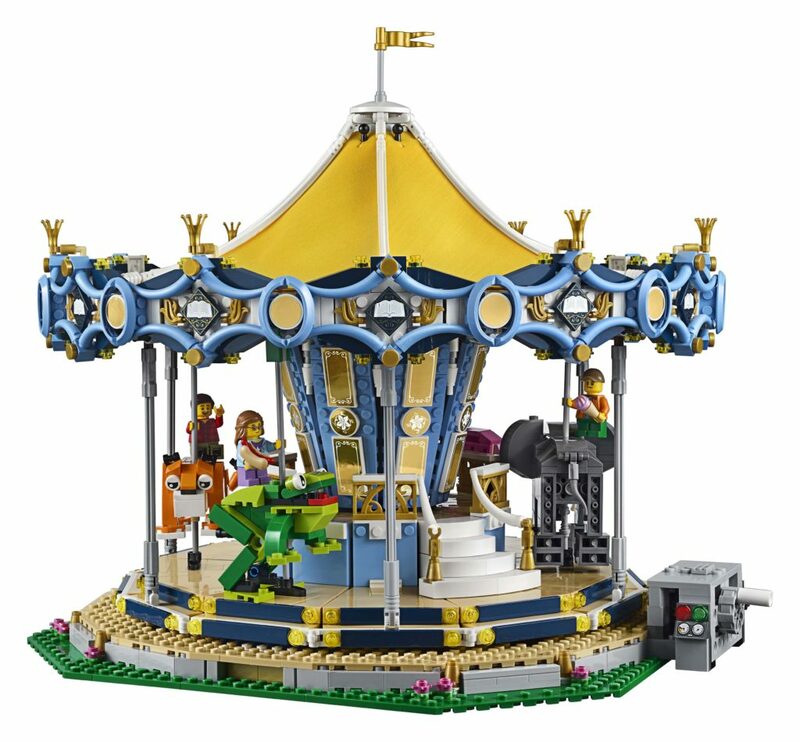 10257: Carousel will be available for sale from LEGO Shop at Home and LEGO Stores from June 1, 2017. 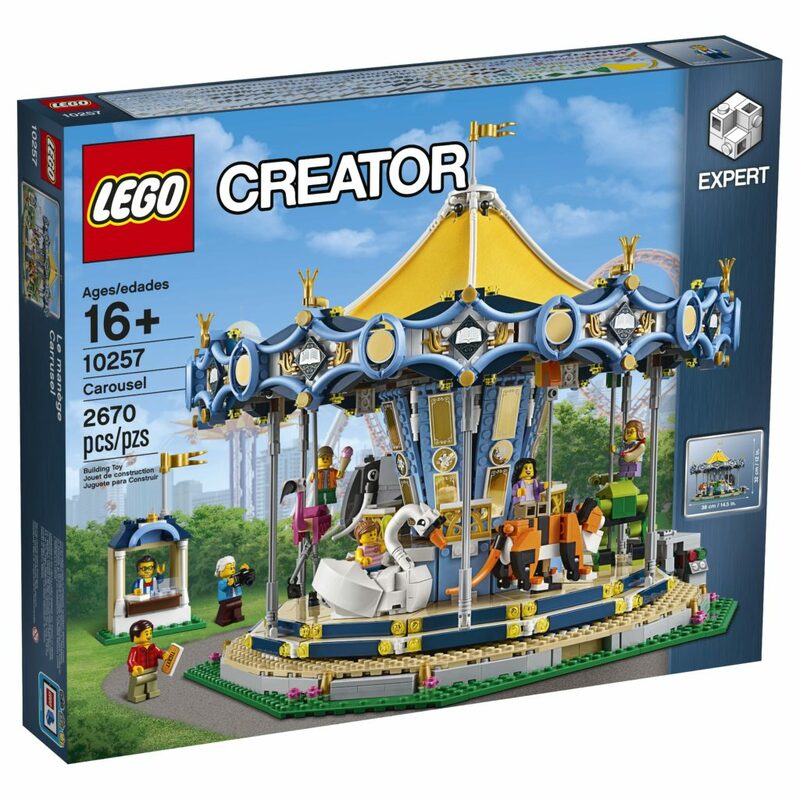 The price is set at US $199.99 and UK £159.99, so most likely around AUD $260, although this isn’t confirmed yet. More information will come when this is known. 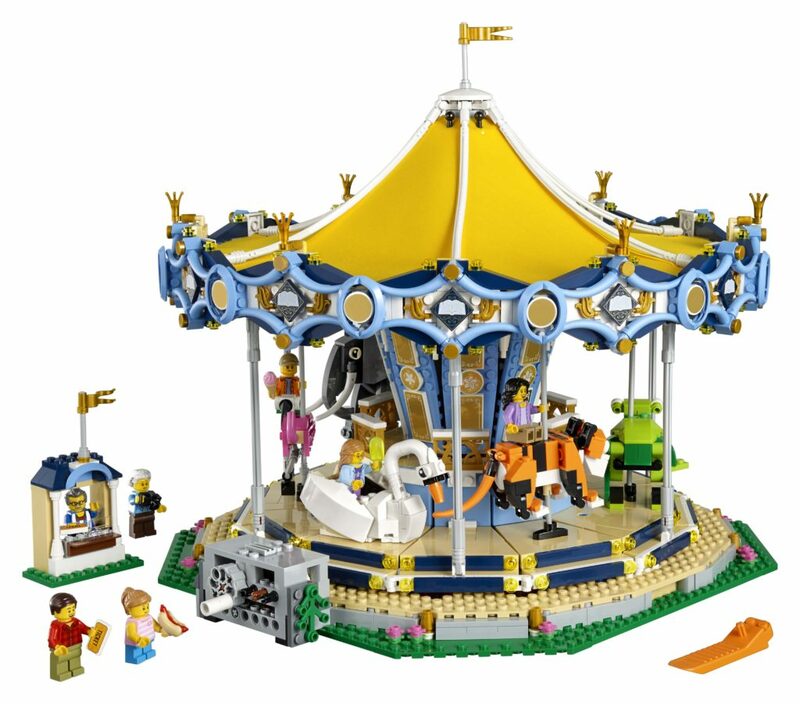 EDIT: The Aussie LEGO Shop site has been updated overnight, with 10257: Carousel being listed at AUD $299.99. 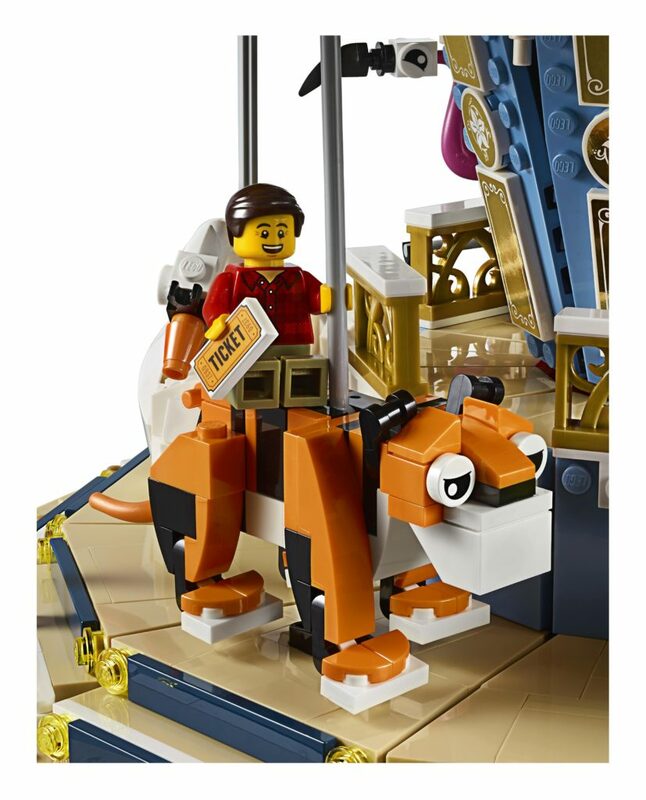 It’s a bit more than I expected, but still reasonable..
You can check out a couple more photos, the Designer Video and full press release from LEGO below. It’s all so exciting! 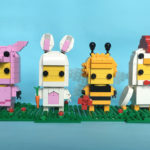 When you watch the video, watch out for the frog’s legs moving, and a couple of not so friendly animals! The Carousel features a large textile canopy, ornate, reflective rounding boards with blue and gold detailing, reflective center panels, two-level deck comprising a raised boarding platform with handrail and a main platform with five buildable animal rides, including a white swan and four moving animals: an elephant, tiger, flamingo and a frog. 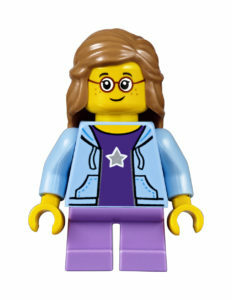 New decorated elements include printed tickets and printed storybook tiles. What do you think? 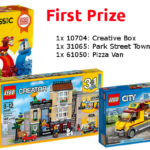 Has this jumped to the top of your shopping list? It certainly has for me!